You don’t have to think hard to picture the following image: you seek help for your mental health condition, but are not deemed “ill enough” by the doctor and end up barred from access to treatment. In The Sweetest Swing in Baseball, Tuesday Night Cafe’s (TNC) most recent play, Dana Fielding (Maria Jimenez) finds herself in that picture when, following a suicide attempt, she decides to pretend to be famous baseball player Darryl Strawberry to receive further treatment. Dana, an emerging artist from New York, is surrounded by pressures of perfectionism and harsh criticism from her peers. She attempts suicide and is later hospitalized for her depression. While in the hospital, she discovers that because the symptoms she exhibits match those of anxiety and depression, she is only entitled to ten days of care under her insurance coverage. Knowing that she is not ready to go home, Dana enlists her new friends Gary (Aidan Dmytriw) and Michael (Antoine Guimbal) to help her convince doctors that she believes she is Darryl Strawberry in order to prolong her stay. The hierarchy of suffering that The Sweetest Swing in Baseball revealed is a vivid and accurate representation of the experience of people living with mental illness. 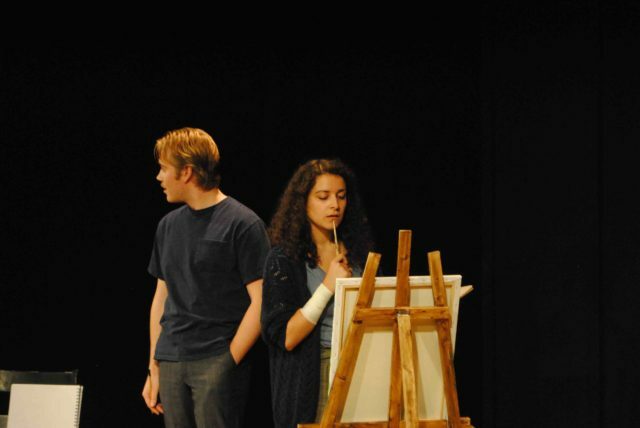 The play, which is Emily Sheeran’s directorial debut, captures a raw, realistic depiction of mental illness at a time when popular shows like Thirteen Reasons Why largely glamourize it. The play illustrates the ways in which self-doubt, insecurity, and depression hurt Dana’s craft, rather than making her seem ‘more interesting.’ As someone who has struggled with mental illness, it was refreshing for me to witness the experience of a fully-fleshed character. Dana’s struggle is embodied in vacillating between feeling frustrated, sad, and unmotivated because of her illness, and in her boyfriend Roy’s (Aidan Dmytriw) failure to save her. The tech team, directed by Jet Elbualy, didn’t miss a single beat — the soundscape and lighting were perfectly timed and set the mood for the scenes, whether upbeat and hopeful or raw and emotional. The music, composed by Emily Sheeran, mirrored the complex range of emotions that someone living with mental illness experiences. The contrast between the carefree vibes of “Toe to Toe” by Streetlight Manifesto and the heaviness of “Little Pistol” by Mother Mother reinforced the realness of Dana’s experience, showing that she is multi-faceted and that her illness impacts her in a variety of ways. The play captures a raw, realistic depiction of mental illness at a time when popular shows like Thirteen Reasons Why glamourize it. The hierarchy of suffering that The Sweetest Swing in Baseball revealed is a vivid and accurate representation of the experience of people living with mental illness. At the top, there is Gary, whose sadistic tendencies make him a ‘serious case.’ Then, there is Michael, whose stay was extended due to his addiction. Yet, Dana, who ‘only’ exhibits symptoms of depression and anxiety, is not perceived as needing extra care and is discharged. 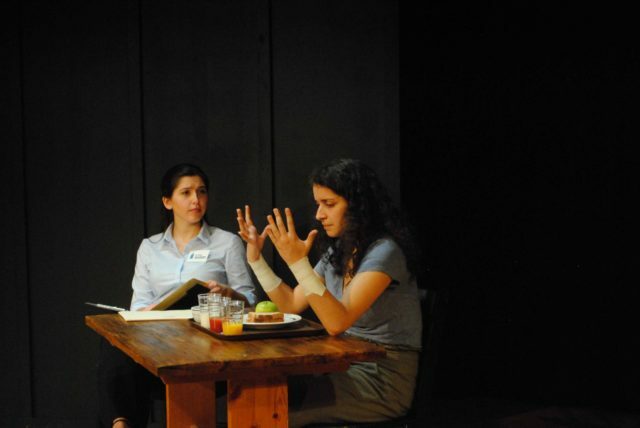 Throughout the play, people in Dana’s life reinforce the undermining of her condition. Most notably, her art dealer and friend, Erica (Arielle Shiri), insists that she hadn’t realized Dana was suffering, despite seeing her lack of motivation to make art or to do much else. Equally, Rhonda (Caitlin Heiligmann), the gallery owner, begs Dana to assure her that she is doing better after her hospital stay. The expectation in the sentiment is clear: Dana should be okay, because depression and anxiety aren’t seen as life-long or as serious as the struggles of the likes of Gary and Michael. The Sweetest Swing in Baseball gracefully combined truthful commentary on mental illness with light-hearted comedy. It can be challenging to balance the seriousness of mental health issues with the goal of good entertainment, but Sheeran managed to do so in a way that captured the attention of both those who have been impacted by mental illness and those who have not. The carefully-selected staging, costumes, and music worked with the raw emotional energy exhibited by Maria Jimenez to create a show that took the audience out of the Morrice Building and into a professional theatre production. Dana embodies a man to avoid presumptions about women’s mental health issues. Although the show wasn’t flawless — there were minor tech delays and wardrobe malfunctions — and despite the simplistic set, the emotional journey of the play pulled through effortlessly. In fact, in some ways, the minimal set took the audience’s focus away from the surroundings and zoomed in on the story, intensifying our connection with the characters. It may seem like the ending is inconclusive and unsatisfying, but it captures mental illness in a way that a smoother ending could not. The image of Dana talking to Michael while still in the persona of Darryl Strawberry reminds the audience that mental illness is recurrent, confusing, and inconclusive. It rejects the traditional trope of a clean recovery, as depicted in movies such as It’s Kind of a Funny Story, where Craig Gilner checks into a psychiatric ward and, once treated, leaves healthy. This play instead depicts a non-linear recovery that, although unattractive, is more complex and accurate. The persona of Darryl Strawberry created by Dana starts a dialogue around the inequalities in mental health care. Although never explicitly stated in the play, it is suggested that Dana embodies a man to avoid presumptions about hysteria, hormones, and other ideas that impact how seriously women’s mental health issues are taken. The play addresses this subtly but effectively, and because of this, it is not surprising that Dana would wish she was in a man’s position. 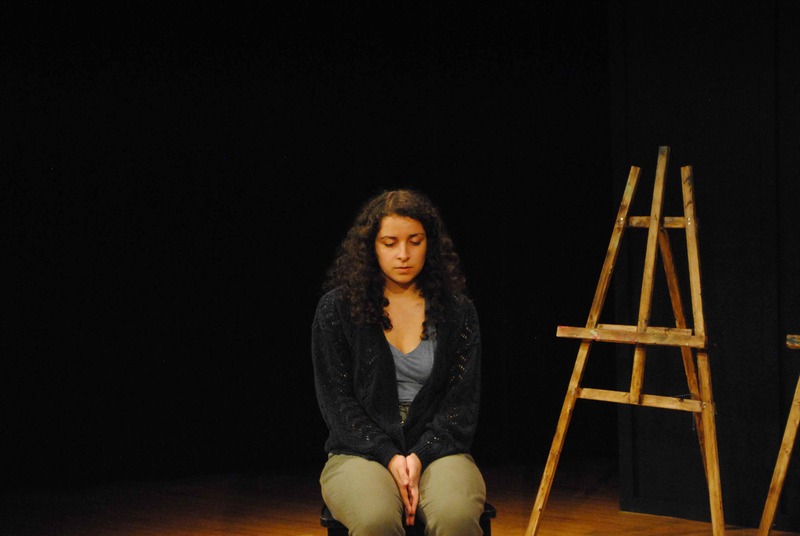 Paired with a talkback – a chance to discuss the show with the cast and crew – on October 18, the show provided an excellent platform for conversation on how society treats people with mental illnesses. Even though Dana finds new ways of coping, a support system in her friends, and a revived passion for art, she still has to live with anxiety and depression. The portrayal of mental illness as an ongoing reality is one that is missing in the media, which often fools us into believing that treating mental illness is a journey to permanent recovery. In this sense, it was refreshing to see TNC embrace the less consoling realities as part of the human experience. Tuesday Night Cafe continues its season with No Exit, which runs November 15-17 and 22-24. For more information, visit TNC on Facebook.